Healthy Meals San Diego: How Potatoes Benefit Your Health! 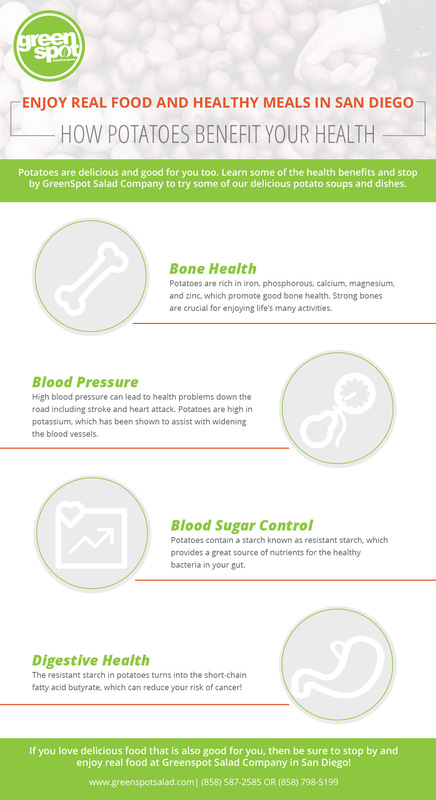 How Potatoes Benefit Your Health! Potatoes are one of our favorite food items here at Greenspot Salad Company. Not only are they versatile, but they are good for your health too! 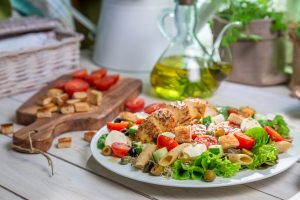 While we definitely make a mean salad, we also offer a number of other healthy meals in San Diego. 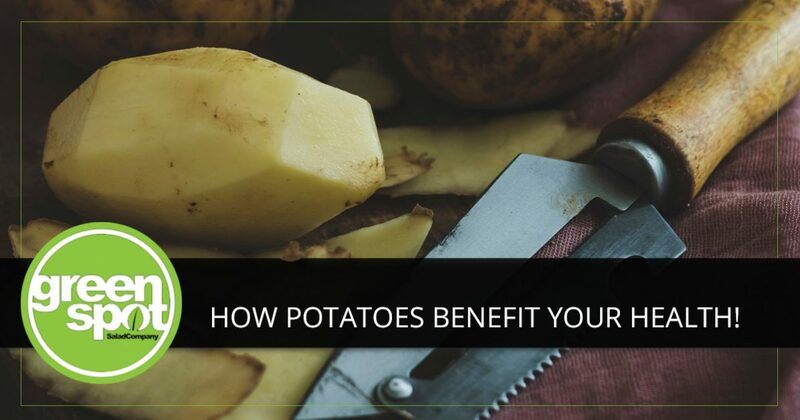 Since we offer a number of potato dishes and soups, we’ll take some time in today’s post to share a little bit about the health benefits of potatoes. 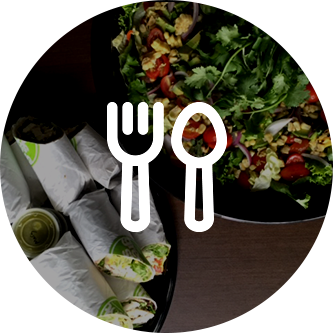 If you love delicious food that is also good for you, then be sure to stop by and enjoy real food at Greenspot Salad Company! Potatoes are rich in iron, phosphorous, calcium, magnesium, and zinc, all of which help to promote and maintain good bone health, structure, and strength. Strong bones are crucial for enjoying life every day here in beautiful Southern California. Whether you like to catch rays, ride the trails, or take off on a rad barrel, you want to make sure that you fuel up on healthy meals to keep your bones strong and ready for any activity. Try our Roasted Potato Wedges the next time you visit Greenspot Salad Company! Everyone wants to have good blood pressure, because the higher your blood pressure is, the higher your risk of future health problems such as a stroke or heart attack. Potatoes make a healthy lunch idea since they are high in potassium. Potassium has been shown to assist with widening the blood vessels, which helps the blood to flow as it should, and can contribute to lower blood pressure. Greenspot’s Baked Sweet Potato is a phenomenal way to enjoy this delicious tuber while getting the health benefits! Potatoes contain a specific type of starch called resistant starch. This particular type of starch is not broken down and absorbed like the others. Instead, it travels to the large intestine and becomes a source of nutrients for the good bacteria in your gut. That means that it works at reducing the insulin resistance in your body, which helps to improve your body’s blood sugar control. Another great way to enjoy a healthy meal at GreenSpot Salad Company in San Diego is by ordering our Chili Baked Potato. The resistant starch that we talked about may also help improve your digestive health. When it reaches your large intestine, it is primarily turned into the short-chain fatty acid butyrate, which helps reduce inflammation in the colon, strengthen its defenses, and reduce your risk of colorectal cancer. If you’re looking for a delicious way to enjoy this health benefit that potatoes offer, then try our Moroccan Sweet Potato or our Buffalo Potato Wedges. No matter what you order, you won’t be disappointed! 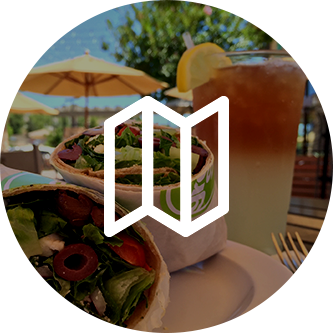 GreenSpot Salad Company in San Diego is proud to offer the healthy meals that fuel your life. Southern California is a great place to work, play, and live, and we are glad to be a part of it. 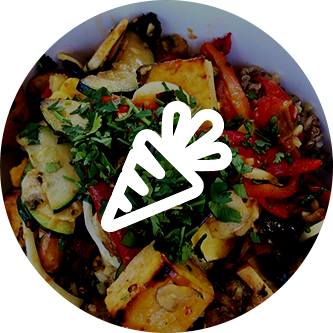 When you are looking for your next healthy lunch idea, be sure to stop by GreenSpot Salad Company and try one of our delicious potato dishes — you’ll be glad you did.